Julie Girling is a British MEP with the European People's Party (EPP), currently member of the ENVI committee. This article is part of our special report Alternatives to animal testing – the state of progress. 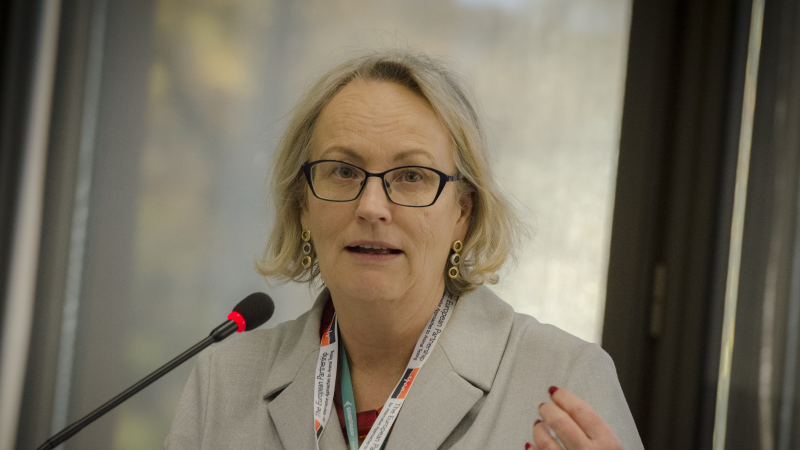 At the 14th Annual Conference of the EPAA (European Partnership for Alternative Approaches to Animal Testing), I was invited to host a panel discussion exploring the theme of the conference: pooling resources to promote the use of alternative methods for advancing safety assessment, writes Julie Girling. Julie Girling is a member of the European Parliament for the European People’s Party. As we approach the end of 2018, it is important to take stock of developments in this critical field, successes and where work still needs to be done. It is an almost universally accepted principle, with widespread political support that the use of animals for regulatory and safety testing should be severely limited to the most practical degree possible, with the implementation of the three R’s (replacement, reduction, refinement) the basis for regulation or codes of practice in this area of research and development. That a given, it would be unwise to simply outlaw a scientific method that has provided tangible results in medical and pharmaceutical advances for decades. What is more, the stick approach to regulation – a method I am by nature cautious of – has often proven to be woefully inadequate when set against facilitation, synergy and nudge economics. A more holistic approach is required if consensual progress is to be made while still allowing safe products developments to emerge. In the European Parliament, there are opportunities to focus on the specific issue of animal testing, though systemic and multifaceted problems are typically addressed when the primary legislation is itself under scrutiny, the Cosmetics Regulation one example. None the less, where it is appropriate, legislators do act. I have submitted an amendment to the draft PEST report currently going through the ENVI Committee. In the review of the Union’s authorisation procedure for pesticides, I called for a process that ‘ambitiously seeks to minimise animal test methods’. Though the wording may be altered, I am confident any compromise will adequately reflect that sentiment, with support from across the political spectrum highlighting again the consensus to reduce animal testing where possible. Despite the importance of legislative reforms, the most effective progress has been made through stakeholder relationships, particularly public-private partnerships. The EPAA is a great example of where expertise can be brought together to pursue a beneficial purpose. Such organisations should represent an efficient use of public resources and an ability to leverage private contributions to provide streamlined objectives and a focused delivery. Examples of the above synergies in the public sector include projects to harmonise databases between agencies (e.g. EFSA, ECHA, EMA), to avoid duplication and to facilitate sharing of animal testing data. Similarly, in the private sector, interoperability between sectors and collaborative sharing of data can be highly effective in progressing alternatives (for example, the EPAA carcinogenicity projects in the pharmaceutical and agrochemical sectors). The inception of the future joint safety database will be the crowning achievement, and the argument it should be transparent and publically accessible as possible is convincing. The development and validation of non-animal alternatives can take years, requiring substantial and sustained budgets. When setting those budget lines or advocating future research calls such as Horizon Europe it is incumbent on stakeholders to make the most effective case and ensure its proper communication. Alternative methods will require new protocols and their adoption requires education and skills training. Support for this is important and needs more focus, especially for laboratories and technicians. It is also vital that dissemination activities, particularly in the regulatory area are not only taking place in the EU but also globally. For example, the European Parliament outreach programme is driving towards a UN resolution for a global ban on animal testing of cosmetics – a resolution that has been agreed at Plenary. In this context, it is key that public campaigns on animal welfare not only call for a ban but also for alternatives to ensure continued human and environmental safety. I am confident that public and political pressure will continue to facilitate progress, and recent developments point towards that end. However, there is still serious work to be done and a focus at the international level is critical in reducing animal based trials.